The Leica M3 was introduced in 1954 with much fanfare – it was a huge success for Leica, and photographers all over the world swooned when the got one in their hands. Eventually, nearly 240,000 cameras were produced! Today, we look back at the Leica M3 history with all of the innovations made with the model, and we prize these early M3 models. 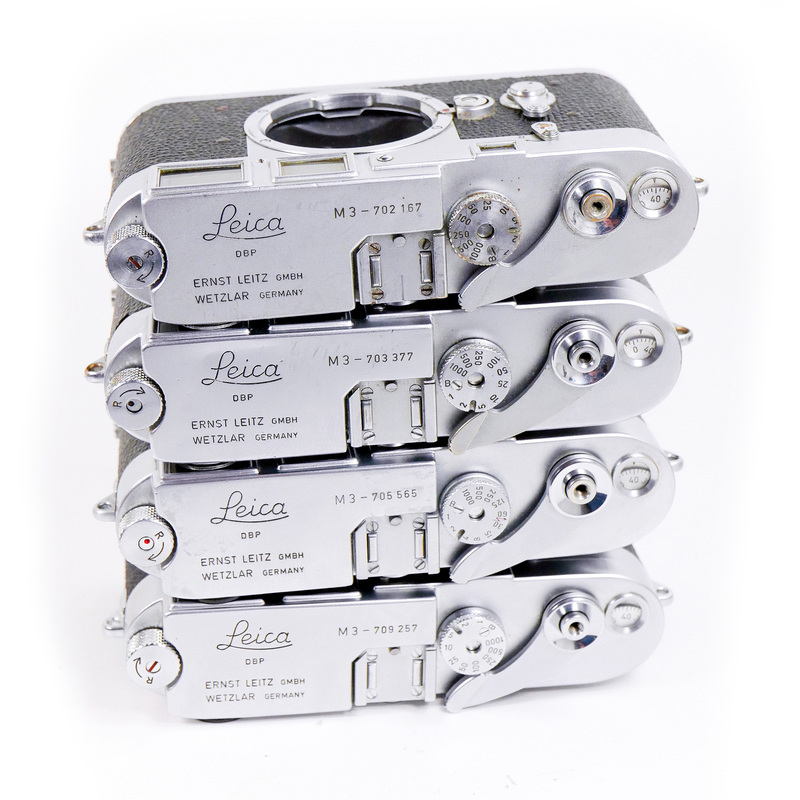 Here are four cameras, each beginning with “70” making them from that first year of production – 1954. If you look closely, you can see that one of these cameras has been slightly modified… can you spot the interloper?